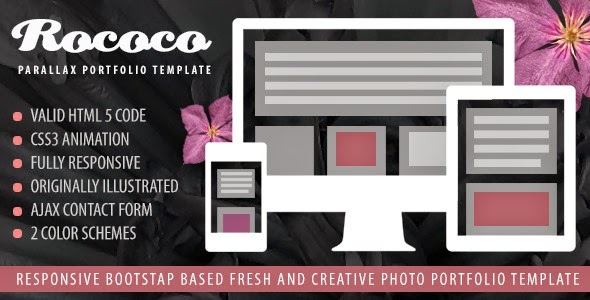 Rococo is a lovely and elegant responsive one-page template with parallax effect. It can be used for creative agencies and photographers who are engaged in shooting weddings, celebrations and other events. Based on BootStrap framework, using full-page slider, transition effects and nice soft colors makes this template useful for photographers and video operators to present their works and portfolios.